Matt’s practice is focused on the representation of sureties, developers, contractors and design professionals as well as businesses in general litigation in federal and state courts and in arbitration. His practice also includes defending employers against EEOC claims, administrative and judicial redemption of real property encumbered by tax certificates or tax deeds, defending businesses in automobile liability matters, and products liability litigation. Matt is involved in the Birmingham Bar Association’s New Lawyer Mentoring Program, the Homewood City Schools, the Northern District of Alabama’s Plan for Pro Bono Counsel for Qualified Unrepresented Parties in Civil Cases, and the Alabama Surety Association. Matt has devoted time to the Birmingham Volunteer Lawyers Program and also serves as an elder at his church where he and his family are actively involved. Fidelity & Deposit Co. of Maryland v. Jefferson County Commission, 756 F. Supp. 2d 1329 (N.D. Ala. 2010) – Prevailed in summary judgment on behalf of Fidelity & Deposit Co. of Maryland who had issued a Performance Bond concerning the installation of a new elevator system in a county courthouse. The Court agreed that the owner, not the Surety, was in breach of the A312 Bond by limiting who the Surety could hire to complete the project when the Surety elected to proceed under the takeover provision of the Bond. Sea Breeze Condominium & Resort Owners Association, Inc. v. Roy Anderson Corp.; et al. 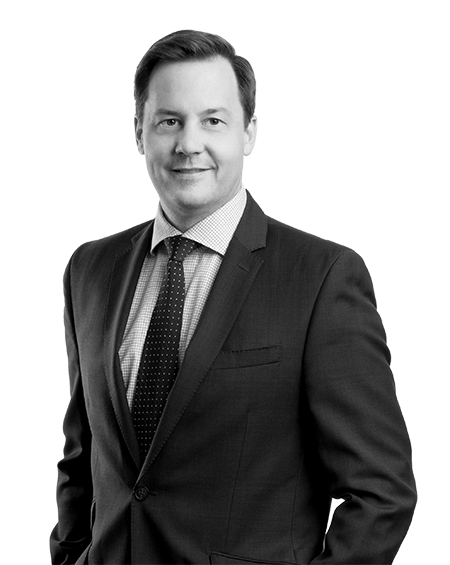 – Successfully represented the developer in a multi-party arbitration over alleged construction defects in which the claimant sought over $10,000,000.00 in damages. Virgil Berry Construction Co., Inc. v. Hall Grading, LLC; et al. – Obtained summary judgment for Surety on subcontractor’s Payment Bond claim where the subcontractor sought more than half a million dollars in additional compensation under its contract. J. Lester Alexander, III, in his capacity as Liquidating Trustee of Franklin Pharmacy, LLC v. Timothy Aaron; et al. 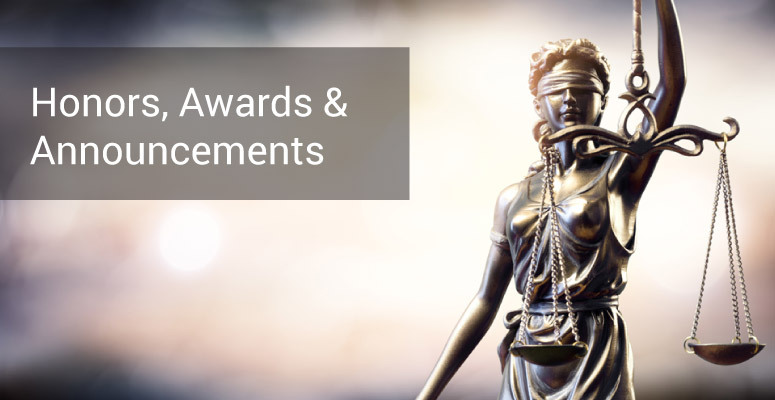 – Successfully represented a publicly traded Canadian corporation in defense of a bankruptcy trustee’s action to recover millions of dollars on behalf of creditors of a Florida entity that was the subject of an attempted acquisition. The Hanover Insurance Company v. Hudak & Dawson Construction Co., Inc.; et al. – Upon the contractor’s failure to fulfill its indemnity obligations, successfully recovered on behalf of the Surety proceeds of the defunct company’s six-figure claim under the BP/Deepwater Horizon settlement. Matthews v. Brookstone Stores, Inc.; et al., 469 F. Supp. 2d 1056 (S.D. Ala. 2006) – Obtained a complete dismissal for lack of personal jurisdiction of a Massachusetts distributor and its president who marketed air purifiers to Brookstone Stores in a potential class action dispute. Alvin Thomas v. Travelers Casualty & Surety Co. of America; et al. – Obtained affirmance from the 11th Circuit Court of Appeals in favor of Travelers in an action by a subcontractor under the Federal Miller Act. Phillips v. American Honda Motor Co., Inc.; et al., 438 F. Supp. 2d 1328, (S.D. Ala. 2006) – Diabetic plaintiff brought a products liability action against Honda claiming he suffered burns to his feet due to excessively high temperatures generated by the ATV. Successfully excluded the plaintiff’s expert testimony under a Daubert analysis and obtained a complete dismissal of all claims for Honda. First Automotive Service Corp., N.M. v. First Colonial Ins. Co., 2008 WL 816973 (M.D. Fla. Mar. 25, 2008) – After removing the action to federal court in Florida, successfully fought a request for remand on the basis that a co-defendant had been fraudulently joined to defeat diversity jurisdiction. New View, Inc. v. McCrory Bldg. Co., Inc.; et al., 2011 WL 2385906 (N.D. Fla. June 10, 2011) – Obtained a dismissal in federal court of all tort claims brought by a payment bond claimant against a Surety. Northbrook Indemnity Co. v. First Automotive Service Corp., N.M., 2008 WL 3009899 (M.D. Fla. Aug. 1, 2008) – Successfully compelled to arbitration a plaintiff’s claim involving complex reinsurance agreements. Guarantee Co. of North America USA v. Wainwright; et al., 2011 WL 1807454 (M.D. Ala. May 11, 2011) – Successfully opposed multiple motions for summary judgment in prosecution of a Surety’s claims for indemnity and exoneration against its principal and indemnitors along with claims for breach of notary obligations and breach of a notary bond against a notary and bank. Powell v. City of Bessemer; et al. 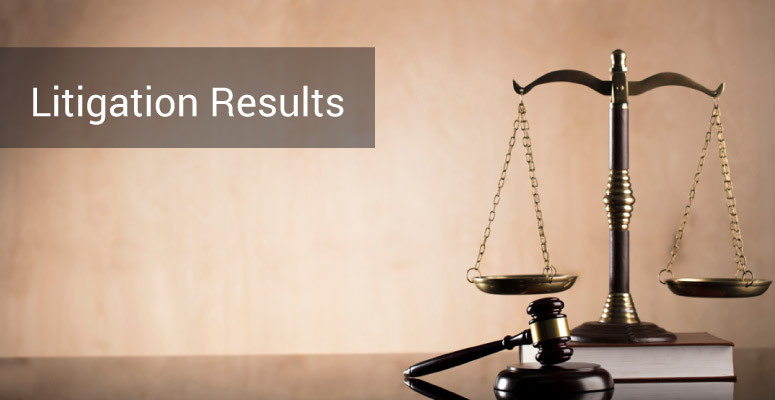 – Obtained summary judgment in favor of a municipality and two police officers against a claim for wrongful arrest where the plaintiff had been arrested for capital murder but was later exonerated after someone else confessed. Altapointe Health Systems, Inc. v. J.C. Duke & Associates General Contractors, Inc.; et al. – Prevailed at trial on behalf of a Surety where a mental health facility and obligee under the Bond refused to release the remaining contract funds to the Surety following completion of the project by the Surety’s completion contractor. Northstar Paramedic Services v. City of Bessemer; et al. – Obtained summary judgment in favor of a municipality where paramedic services company alleged deprivation of a property interest and procedural due process rights in its removal from the municipality’s E-911 rotation. Xcel Masonry, Inc. v. K&B Quality Masonry, Inc.; et al. – Obtained a defense verdict in favor of a Surety in a jury trial where the claimant sought payment under Alabama’s Little Miller Act and the Surety’s Payment Bond. Louise Alexander v. Edward May; et al., 2012 WL 1758612 (11th Cir. 2012) – Obtained summary judgment for a utility, operations manager and former mayor on a federal § 1983 due process claim arising from the termination of the plaintiff’s electricity for nonpayment. The Eleventh Circuit affirmed the summary judgment on appeal. Matthews v. Brookstone Stores, Inc.; et al., 431 F. Supp. 2d 1219 (S.D. Ala. 2006) – Successfully argued that a Massachusetts company had not waived its defense of personal jurisdiction by limited participation in the litigation. Brad Hill, Administrator of the Estate of Billy Michael Hill, deceased v. Ronnie May; et al. – Obtained a complete dismissal of claims in federal court arising from the death of a prisoner in a county jail. Phillips v. American Honda Motor Co., Inc., 2006 WL 1889564 (S.D. Ala. July 10, 2006) – Successfully fought a plaintiff’s attempt to vacate a judgment where he argued that the exclusion of its expert was in error. The Impact of a Principal’s “Newco,” presented at the 2018 Southern Surety & Fidelity Claims Conference in Clearwater, FL (April 20, 2018). To Pay or Play: Options Available to the Surety: Finance or Takeover, presented at the 2017 Southern Surety & Fidelity Claims Conference in Nashville, TN (April 20, 2017). The Alabama Chapter of The Fidelity & Surety Law Committee 2013 Mid-Winter Program: The Surety Underwriter’s Desk Book published by the American Bar Association (2013-2017). Performance Bonds: Remedies Available to the Obligee, presented at the 2016 Southern Surety & Fidelity Claims Conference in Charleston, SC (April 21, 2016). How the BP Oil Spill Has Impacted Recovery Efforts for Sureties, presented at Alabama Surety Association Meeting in Birmingham, AL (August 11, 2015). Bad Faith Claims by the Owner/Obligee, presented at the Southern Surety & Fidelity Claims Conference in Clearwater, FL (April 24, 2015). Considerations for Green Building & Sustainable Development, presented at Construction Law Seminar for Architects, Professional Engineers and Contractors in Birmingham, AL (July 18, 2013). Matt is originally from a small town in West Texas, and although his Texas roots run deep, Birmingham has become home for he and his family since moving here for law school. Prior to starting a family, he and his wife enjoyed a five year stint in New York, where he worked in the advertising world as an Art Director.